On this week's episode of Something Interesting From Last Week, the lesser-known movies from Guillermo del Toro! Last week I watched two movies from director Guillermo del Toro, each of which embodied a significant element of what I consider his masterpiece, Pan's Labyrinth (2006). First is his debut feature film Cronos (1993) and its use of color. It has two worlds which it differentiates by the colors which constitute them: the first is primarily orange, gold or brown and represents our normal, average, everyday reality; the second is primarily blue, black or grey and represents an evil, fantastic, and almost unreal underworld. The two worlds are strictly separated at first (scenes occur in one or the other of the color schemes) until the protagonist falls under an evil spell and the blues and blacks of the underworld begin to seep into his reality. Del Toro uses a similar segmenting and contrasting of colored worlds in Pan's Labyrinth to distinguish between fantasy and reality and between the world of children and the world of adults. The second movie I watched from Guillermo del Toro was The Devil's Backbone (2001), a movie which separates the world of children from the world of adults against the background of a larger historical/cultural milieu in a way similar to Pan's Labyrinth. It takes place during the Spanish Civil War but has almost none of the imagery we'd expect from a film about war. Instead it is about a young boy in an orphanage and the people who take care of him. There are scenes shot from the children's perspective where they know something is happening but have no idea what it is and there are scenes shot from the informed adults' perspective, and this juxtaposition serves the dual purpose of highlighting the innocent nature of the children and the inhuman nature of war (we have to grow up before we can understand it, it's not something inherent to our knowledge or comprehension). 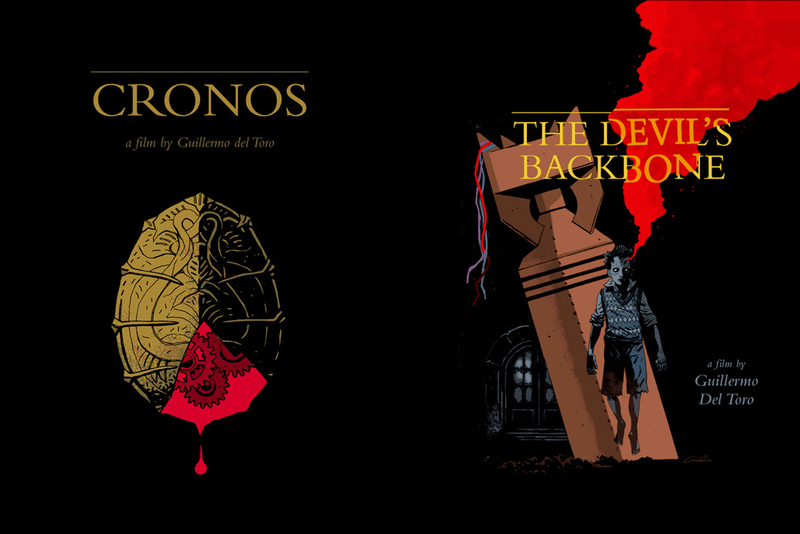 Both Cronos and The Devil's Backbone were the best films from Guillermo del Toro I've seen since Pan's Labyrinth and any fan of the director will likely find a lot of enjoy in each.